Dan has headed the family law section of Peterson, Berk & Cross since joining the firm in 1985. His practice focuses on divorce, custody and placement, and support. Dan has been repeatedly named a Super Lawyer by Milwaukee Magazine. Only 5 percent of attorneys in Wisconsin are chosen each year for inclusion as a Super Lawyer. Dan was selected as the area's best divorce lawyer in a 2002 survey by the Fox Cities Magazine. Dan received his undergraduate degree from Iowa State University in 1976 and his law degree, with distinction, from the University of Iowa in 1981. Dan is a member of the Family Law Section of the State Bar of Wisconsin, where he has served as a board member and presently serves on the Section's executive committee as treasurer. Dan is a member of the Collaborative Family Law Council of Wisconsin, Inc. He was one of the founding board members of the Council and organized the Council's Northeast Wisconsin chapter. 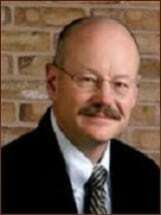 Dan has been certified as a family law trial specialist by the National Board of Trial Advocacy since 1997. He is also a member of the Family Law Section of the American Bar Association. He frequently lectures on family topics to lawyers statewide. Dan is the author of the widely used Wisconsin child support computer program DWD40Sheets. Dan lives in Sherwood with his wife Francine. They are avid cruisers and rabid sailboat racers on Lake Winnebago.